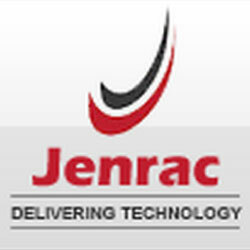 Jenrac is a leading SAP training provider organization in London, UK which offer diverse range of ERP training packages which cover wide range of SAP courses such as SAP Basis and Security, SAP Bods, FICO, HANA, MM, PP, CO, BI/BW, BPC, CRM, ABAP, BO, and SAP SD. Moreover, you can be sure of our 100% commitment for courses. We have highly SAP experienced trainers who are working side by side on one of the biggest projects in London, UK and all over the world. Our experienced sap trainers are regularly reviewing the curriculum of all SAP courses and keep it up to date according to industry trends. We also provide full flexibility to students regarding study timing. Students can choose their timing for their course of study with the mutual consent and availability of SAP trainers. It is the administration of SAP system. It links the application with operating system and database. Generally associated GUI interface to SAP. SAP FI provides core accounting and reporting capabilities and ensures the most up-to-date balances and reporting accuracy through complete integration between the general ledger and the accounts receivable and accounts payable. SAP CO Its main focus is on flow of cost and revenue and used by CEO and CFO of an organization for high level organizational decision making. SAP HANA is a game-changing, real-time platform for analytics and applications. It provides powerful features like: significant processing speed, the ability to handle big data, predictive capabilities and text mining capabilities. SAP MM is a material management tool that can help automate and streamline corporate Procurement Handling and Inventory Management. SAP SD training (Sales and Distribution) course is designed to cover the curriculum set forth for the SAP SD module by SAP and to train the attendants as associate level SAP SD consultants. SAP HR (Human Capital Management) training course is designed to cover the curriculum set forth for the HR course by SAP and to train the attendants as associate level SAP HR consultants. SAP PP is a production planning tool which helps automate and streamline batch-oriented process. Other courses offered are SAP BPC, SAP CRM, SAP ABAP and SAP BO.